Hello again to our Sunday night blog hop!! And a shout out to CASEING the CATTY - this is our 100th post!!! How cool is this!! the Birthday Bouquet Section of the Occasions Catalogue - pages 8 - 15. My project has been inspired by the lovely stamp set Number of Years projects on the bottom of page 11, and especially this darling scrapbooking page. My bottom right square features the lovely Sale-a-bration Botanical Gardens vellum stack. I've layered it over the top of Blackberry Bliss cardstock, and stamped the flowers with white stazon ink. The final touch is some lovely watercolouring on the flowers. So, are you inspired? Make sure you add your lovely creation to our monthly challenge by clicking on the link below and entering!! Now it's time for you to hop along to the rest of the hop. And you get to go forward or backwards!! If you wish to see the list of the whole design team, simply click on the link below to head on over to our Caseing the Catty blog. Julia this is beautiful, I admire anyone who can document photos and events and you have done an amazing job with this. What a great CASE from the card inspiration. What a fun & creative way to CASE that card, Julia. Your stamping & colouring on the vellum looks lovely & blends with the DSP so well. I admire your creativity & memory keeping ability! Love the clever twist you put on the title, Julia. Those papers make such a pretty background. I love how the outfits you and your friends have on match the DSP you used!! 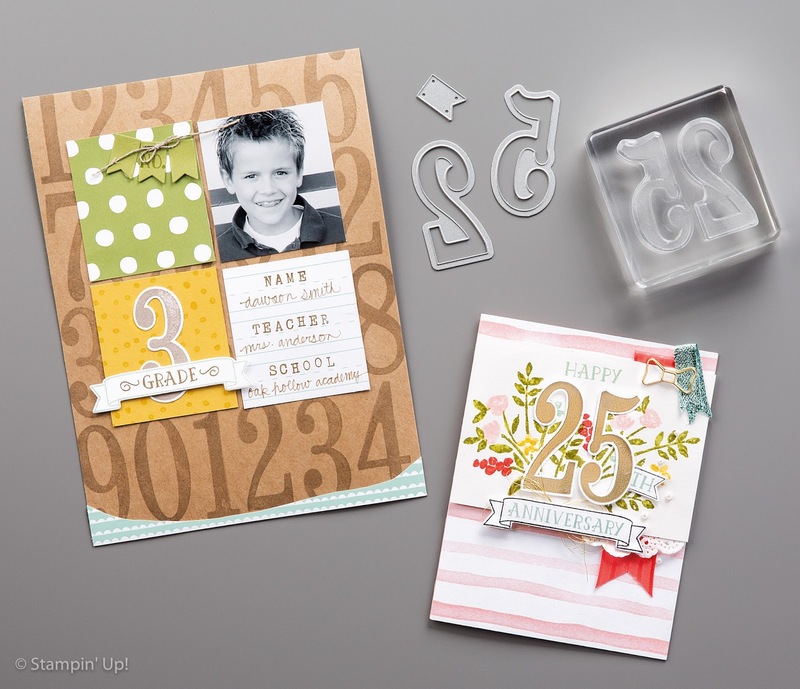 What a great page to show how number stamps don't always have to be about birthdays. great page layout, I like your different use for the Number of Years framelits.